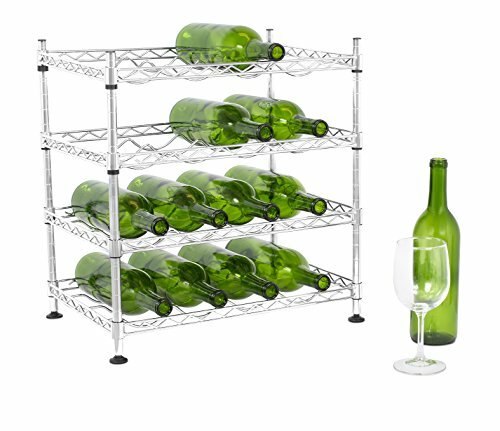 Internet's Best 16 Bottle Free Standing Wine Rack is the perfect wine stand for countertop display and storage, providing easy access to your favorite bottle of wine. The wine stand is crafted from a durable chrome metal with a handsome silver finish. The rectangle wine rack can carry up to 16 bottles of wine and may be used on top of the counter top within the kitchen, on your wine bar or upon your kitchen shelf. Entertain family and friends with Internet's Best Free Standing Wine Rack.